Promote your Facebook social media handle with this simple animation. 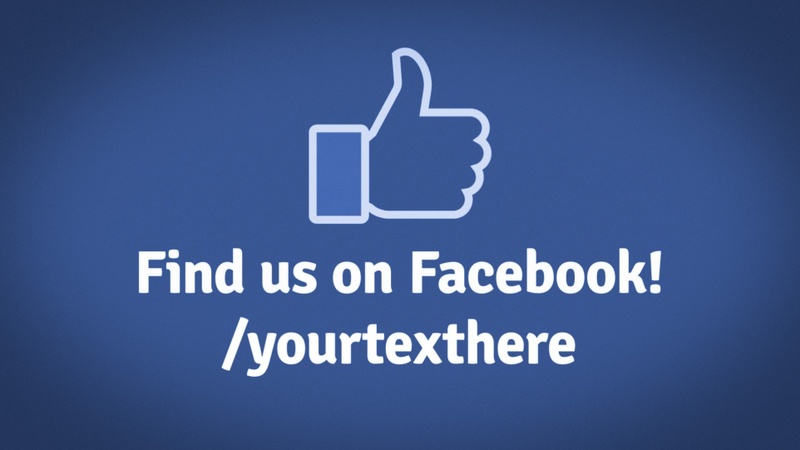 You could write your handle (username) as part of the Facebook web address - for example, fb.com/textinmotion, or just put the username on its own, as people will likely know that can use the search bar on Facebook to find you. The Facebook logo is a trademark of Facebook, and the text that you add should not imply partnership, sponsorship or endorsement by Facebook. The font used in this design is Signika. If you would like to use this in your own designs, it is available here.